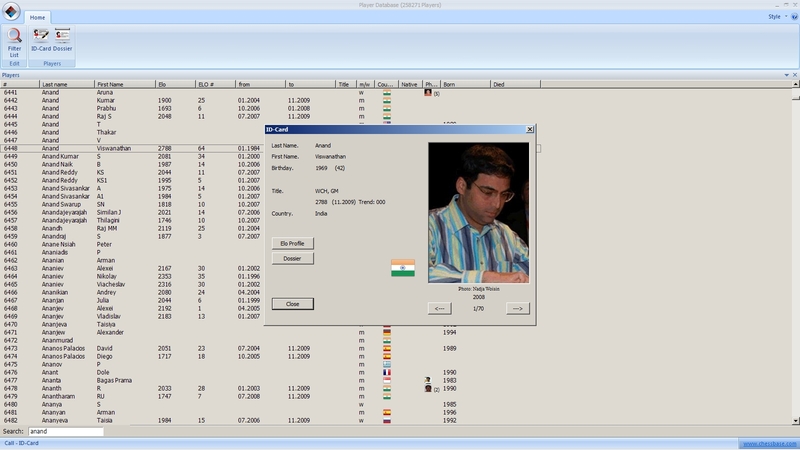 In Tuesday’s blog post we learned how to semi-automatically (“semi” because it does require some action on the part of the user) copy Mega Database 2011 to your hard drive within the ChessBase 11 software. 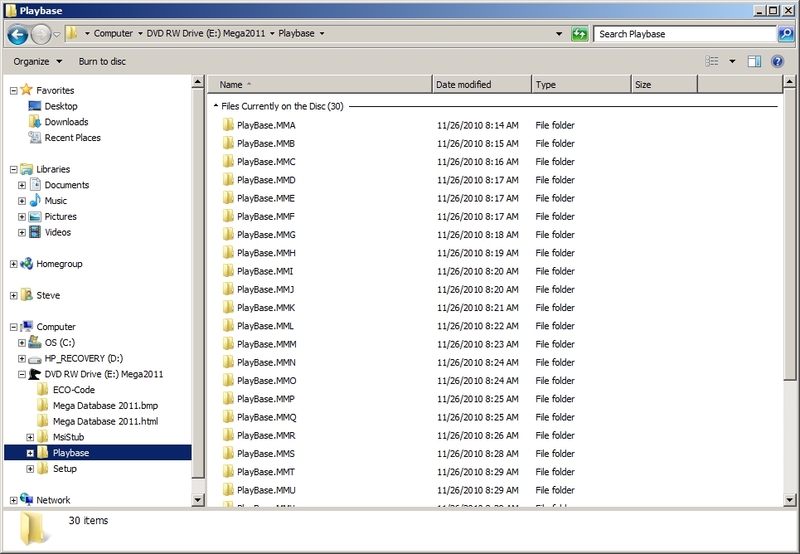 But there’s a second component to the Mega Database DVD: an updated Player Encyclopedia. 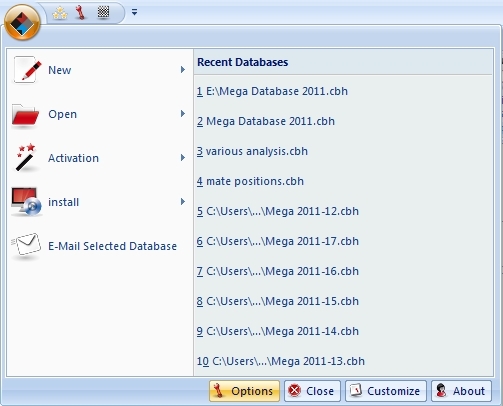 How do you update the files on your hard drive with the new ones on the Mega Database DVD? 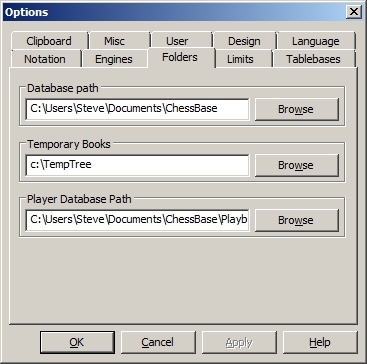 This requires a little bit more work than copying the Mega Database, since there’s not a ChessBase command that takes care of it for you (automatically or otherwise). The procedure’s not very difficult but it does require that you understand the concepts of “files” and “folders”. If you don’t know how to copy files, it’s not very difficult and doesn’t require a degree in Computer Science; it’s fairly simple stuff. Please check out the link we’ve provided in the right-hand sidebar of this blog, under “Various links of interest”: the “Windows tutorial” link will take you to a site containing numerous instructional videos, including one on copying files and folders. It’s not hard to learn (nor especially time-consuming) and you’ll be a far more adept computer user after you’ve learned the process. That’s just one example of the utility of the Player Encyclopedia; there are plenty of others. Updating the Player Encyclopedia will make sure you have newer information available to you than the info which was installed by CB11. What we’re going to do is copy the updated information from the Mega Database DVD to the proper folder on your hard drive. Now I would love to give you a “quick and dirty” guide to this, but there’s a hitch: using different Windows versions means that there will be different default location for the Encyclopedia. So, instead, I’ll show you how to find the default location on your own computer, and then we’ll copy the files. 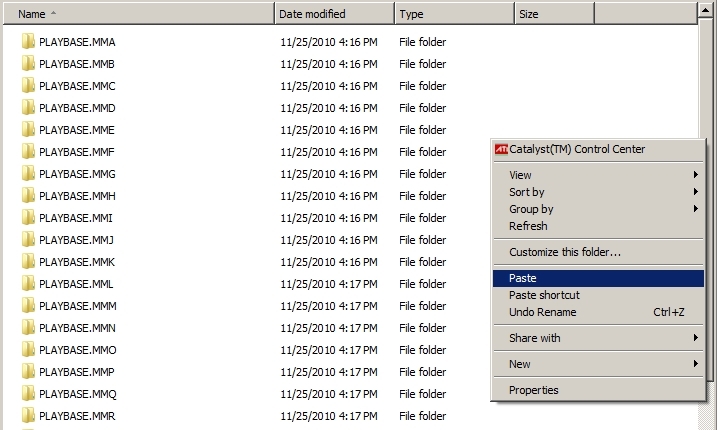 The box under “Player Database Path” will show you the path (drive letter, folders, and subfolders) to the default location of the Player Database. Make a note of this location, because you’re going to need it in a few moments. Then click “Cancel” to leave this dialogue. It’ll look like nothing has happened, but you’ve just told Windows Explorer that you want to copy these files. This will start the process of copying the files from the DVD to your hard drive. When you see confirmation dialogues asking if you want to “Merge folders” and “Overwrite files”, the answer is “Yes” (and be sure to look for the shortcut boxes which say “Do this for all current items” – they’ll save you a passel of work). Note that you’re going to be copying thousands of files, so the copying may take a while. Be patient. 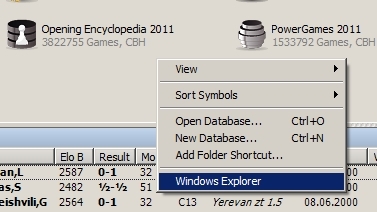 When the status bar disappears, the copy process is finished and your ChessBase 11 Player Encyclopedia is updated. Now when you use CB11 features which draw information from the Player Encyclopedia, you’ll know that the info is more up-to-date than that which was supplied on the CB11 DVD.